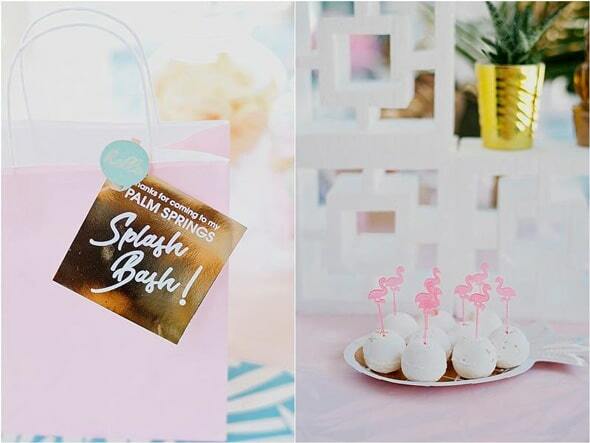 This Palm Springs Pool Themed Birthday Party was for one cool 7-year-old! 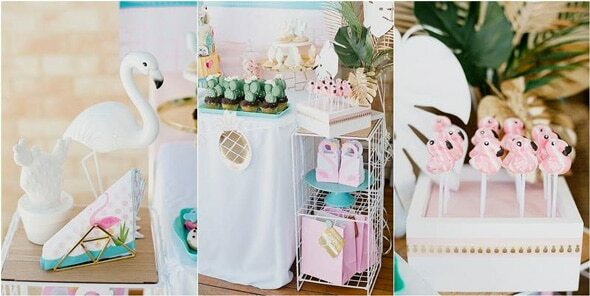 She wanted something very chic and sophisticated and her birthday party was just that! 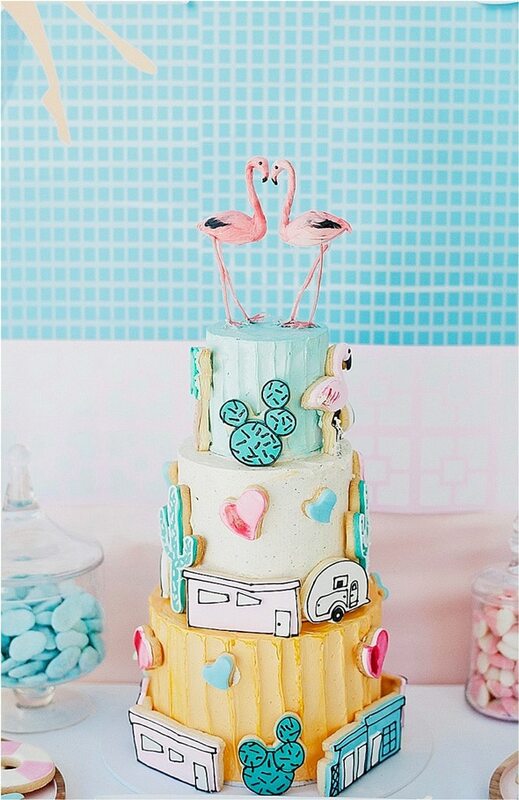 My Petite Sweets did an outstanding job on designing this amazing Palm Springs chic birthday cake for the lucky birthday girl! 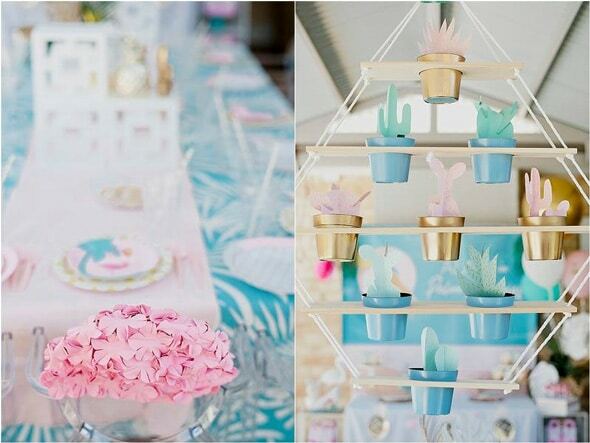 When it came to planning the details, Dream A Little Dream Events didn’t disappoint! 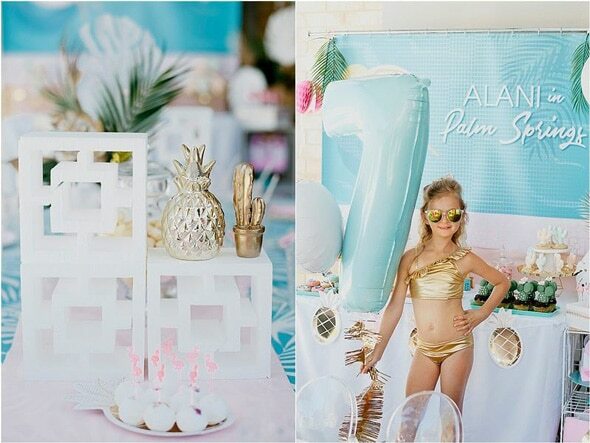 This birthday girl knew she wanted a pool party, but it had to be glam “like Barbie”. 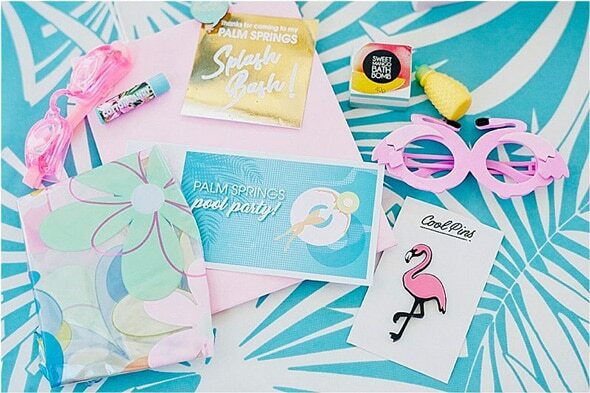 What could be more glam than a pool party in Palm Springs?! Favor bags were created by Her Beautiful Mess. Nothing was forgotten, as they included the ultimate in glam with essential lip gloss, goggles, sunnies and a beach ball! 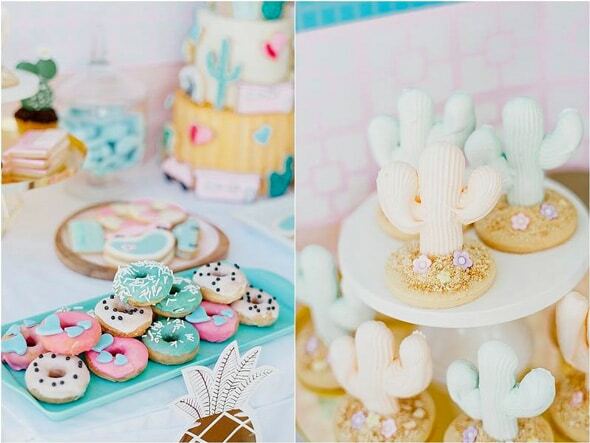 My Petite Sweets created works of art like the amazing cacti macarons! 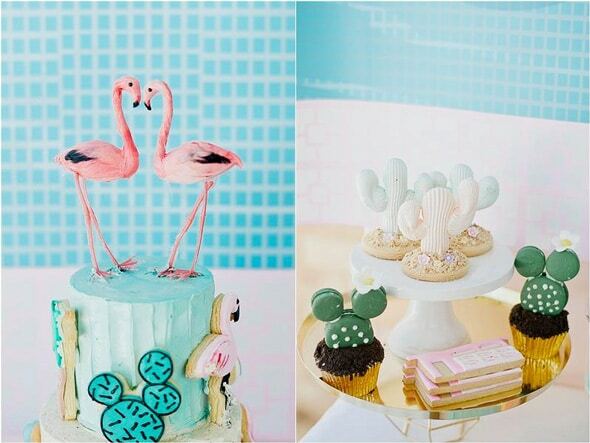 We just love the thoughtfulness and unique style that this party had! 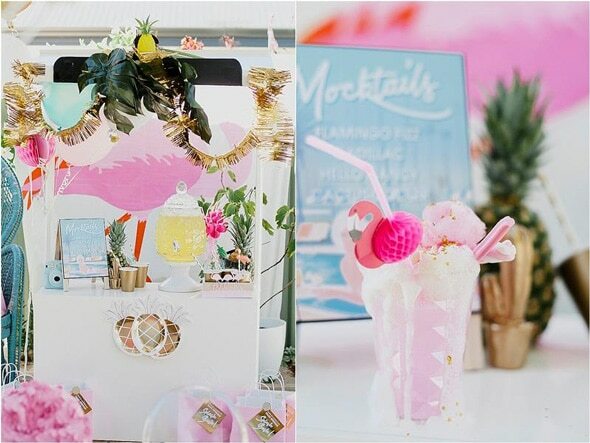 Who wouldn’t want to be a guest at this glam pool party? It definitely has a great, California vibe! As do these sweet girls! 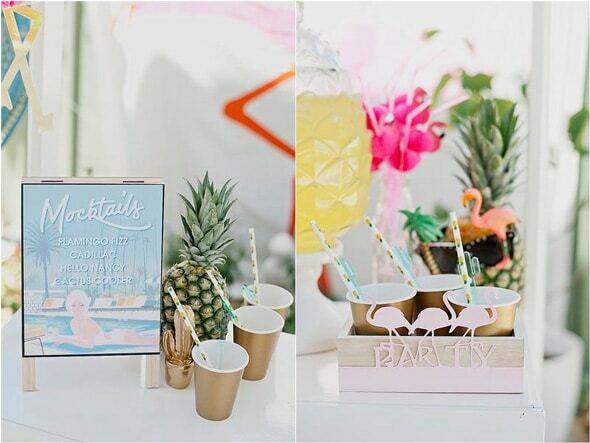 Mocktails were the perfect complement to this chic pool party. 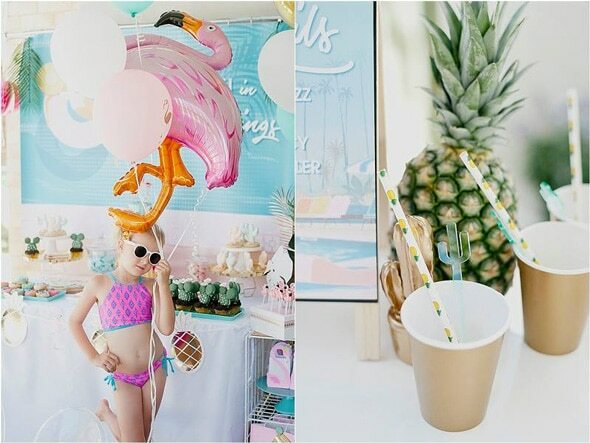 Favor Lane Party Boutique did an amazing job creating the perfect mocktails for the girls, along with great pineapple straws and cacti stirrers! How could they not feel like they were at an amazing Hollywood party?! Every single detail was well thought out and perfect. 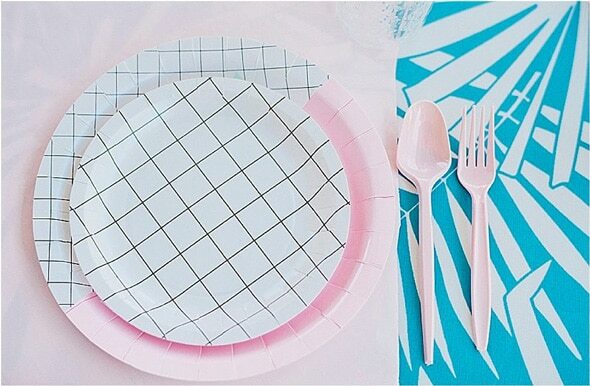 Just look at those amazing table settings! 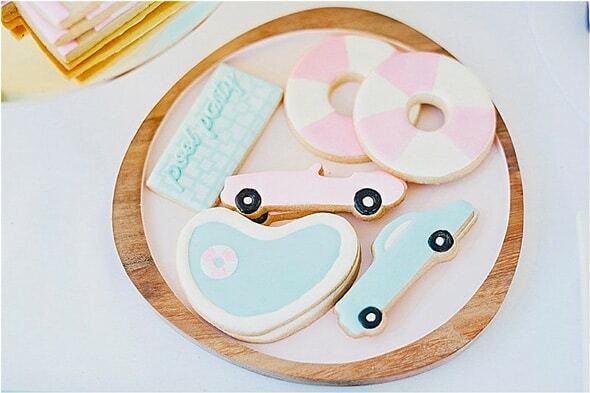 Frosted by Nicci came out with guns blazing with these amazing cookies! 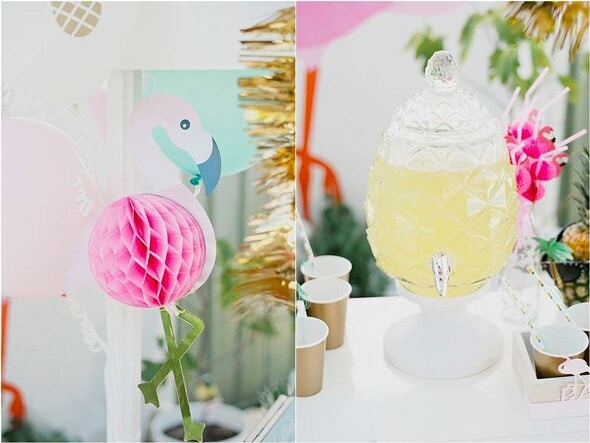 And did you see those flamingo lollipops from Louisa Little? 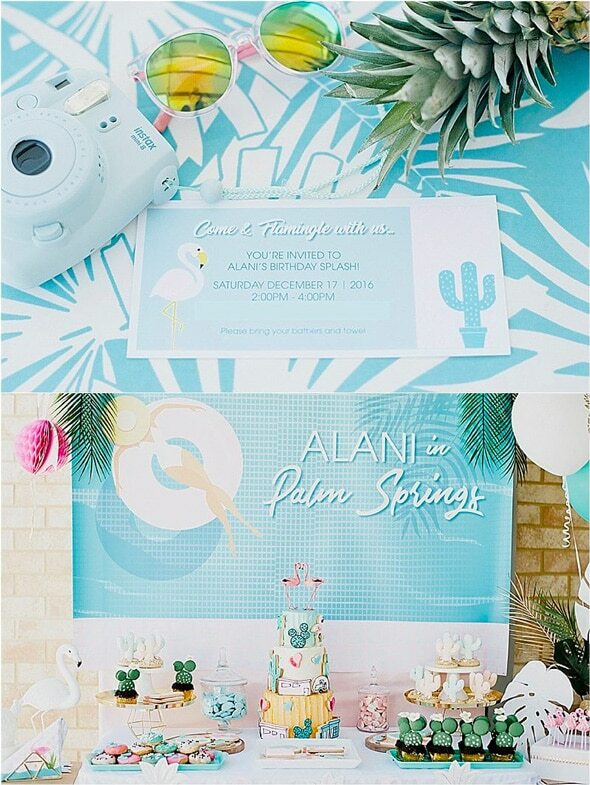 We totally want to have our own pool party this summer after seeing this spectacular event! 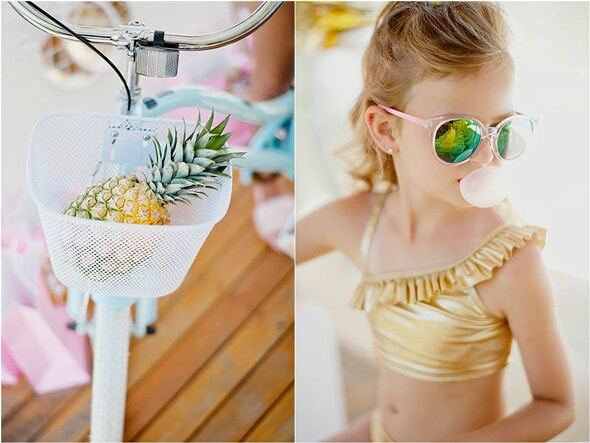 This sweet golden girl had the glam birthday of her dreams and everyone had a spectacular time. 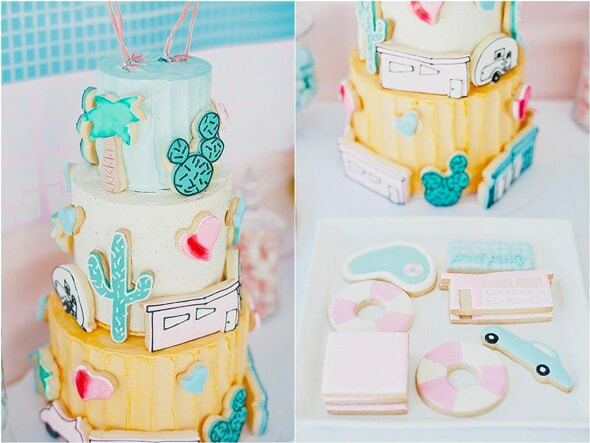 Who wouldn’t be able to have the time of their life at this Palm Springs Pool Themed Birthday Party! How fun! What’s your favorite details in this party? Let us know in the comments below! 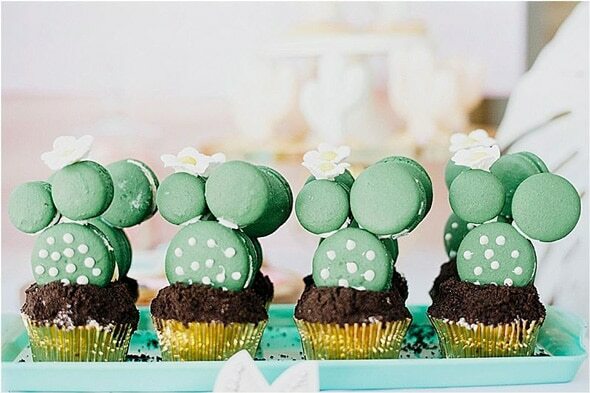 This is the cutest party! Nice job.